BermyEats offers concierge culinary services for individuals and businesses in Bermuda. Our local team of young experienced chefs have the passion, knowledge and skill to offer you an experience like no other. Enjoy restaurant quality food in the comfort of your own home or conveniently at your event space. Our flexible team provides quality, refined and profesional dining encounters. We'll let the flavors speak for themselves. Book a consultation today. Our experienced team has the skill and local flair to assist with the improvement, development or optimization of your restaurant. Better inventory management, pricing consultation and menu design. Or take a chance to dazzle your guests with the special talents of our chefs or get them to show you a thing or two, with a private cooking class! We also offer residential consultation sessions with flexible applications for both individuals and groups. With experience in top local events we have the flexibility of providing our own 'pop up' restaurant for a public event or standard catering for an event or celebration. Our emphasis on fresh, simple local cuisine & food is reflected in the standard of our food. Our at home dining experiences are rivaled by no other local service. 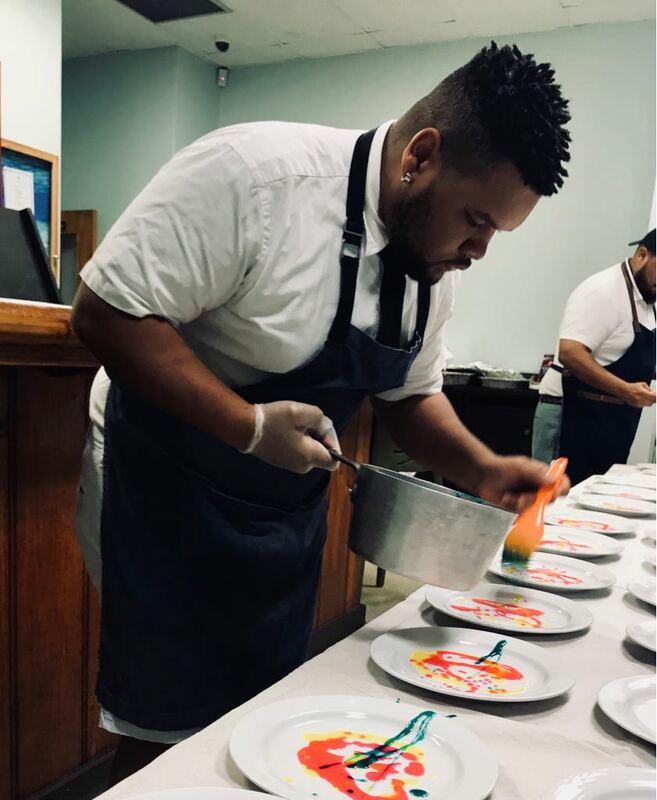 Experience fresh, hand picked, seasonal local ingredients prepared by our experienced and qualified Bermudian chefs. All in the comfort of your own home, without the mess, preparation or trip to the grocery store. Ideal for special events, celebrations or private chef services.